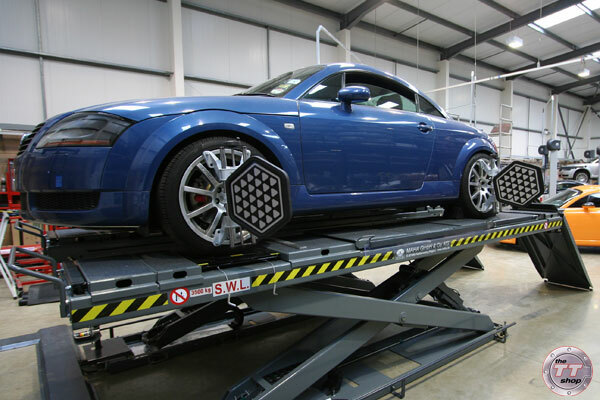 The latest News itmes for The TT Shop and the Audi TT. For an unprecedented 5th year running, The TT Shop / TTS Roadsport have scooped the Audi Driver International Magazine’s Award for Best Independent Accessory Supplier for 2007. Each year, readers of Audi Driver vote for the companies and organisations which they feel have offered the best service during the past year. These prestigious awards are presented at the gala dinner on Saturday 13th October 2007 . I would like to thank all of our customers for their continued support and for voting for us above the stiff competition. I would also like to thank the staff at The TT Shop who have worked hard to provide this award winning customer service. It has been an extremely challenging year with the business outgrowing the old premises, and the move impacting on how we like to operate, but we now have what we think is one of the best tuning and accessory facilities for VAG cars in the UK. If you haven't had the opportunity to experience this, we would love the chance to demonstrate what we do, so give us a call, or come down and see us. Dave Hill joined us in April 2007 following an extensive background in specialist tuning and modification and more recently working as a senior technician in a Mercedes dealership. His specialities include bodyshop and bodywork enhancements and performance geometry set ups and alignments. He is the Snap On dealers best friend, and he drives one of the fastest Subaru Impreza’s in the area! Wheel alignment is something that shouldn’t be over looked. If anything has been changed to do with the suspension and steering, the alignment should be checked. If you are experiencing uneven tyre wear, pulling to the left or right, uncentred steering wheel, or poor handling, you should have this checked as soon as possible. If you have your suspension uprated with springs, shocks, or coilovers, you should have an alignment done at the same time, or shortly afterwards.